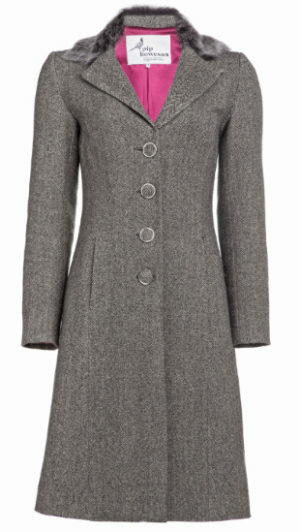 This is the ultimate ‘coatigan’, to take you from business meetings to the Chelsea Flower Show. 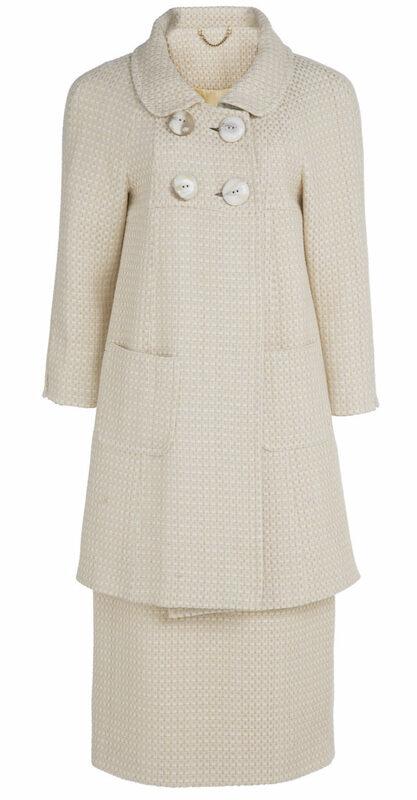 With an extra large collar, fitted waist and fluted skirt…this is the Amelia. It has oversized buttons and a chunky turned cuff, making it smart and flattering to all figures. 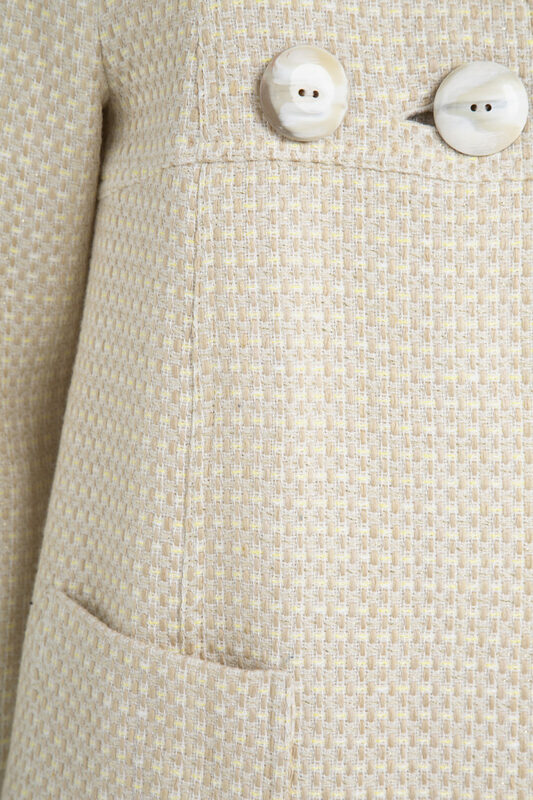 The nod to the Sixties transcends in to the patch pocket and gentle swing line. 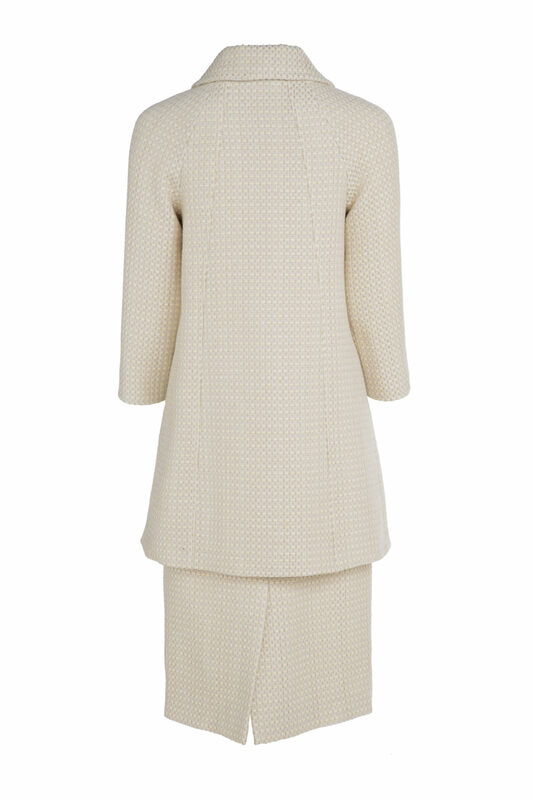 The centre back pleat paired with the fluted skirt contribute to making the Amelia smart & witty, Ultimately wearable. The Ameila is handmade to order in our London atelier, by our skilled tailoring team.